I’m relieved of the news and am proud of America for their decision. Kudos my friends. Being an American overseas for 6 1/2 years, this is one of the proudest moments I’ve had of my country – finally. Congratulations. Bush just became history, oh yeah. George who? Let’s hope this is the major turning point for the US and the beginning of a long positive transformation to a sustainable, peaceful future. The United States just began to look very different to the rest of the planet. It will be really great to have a president who can speak in whole sentences and not like everything’s a question. 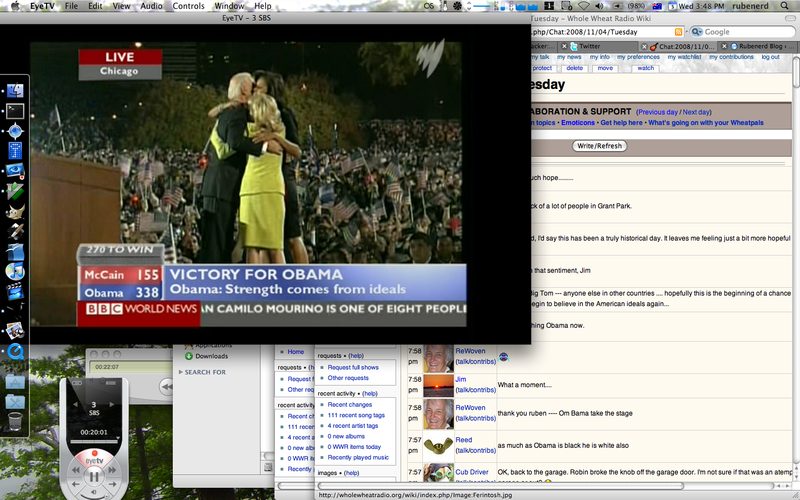 Older post → Obama has won!